LetsIgnite Startup Competition is back! 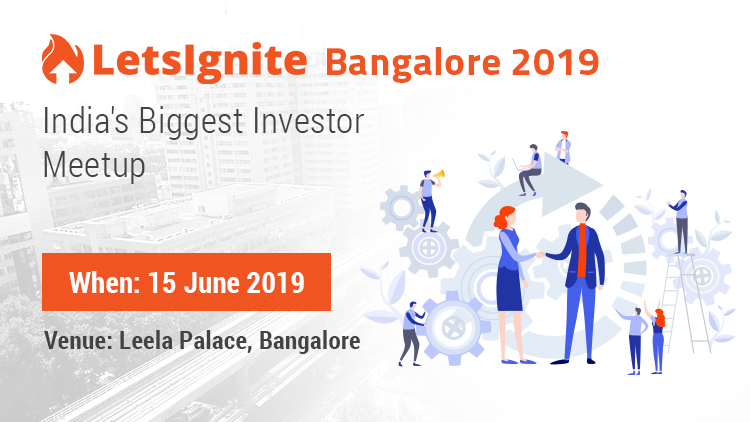 This year the top 15 selected startups will get an opportunity to pitch in front of 100+ Angel Investors at LetsIgnite, 2019. Founded in 2013, LetsVenture is India’s premier platform for Angels, Family Offices, and Foreign Funds to invest in Startups & VC Funds. LetsVenture works with startups and investors on discovery, syndication, and closure of funding rounds. This involves managing due diligence and paperwork closure. Our platform houses more than 18000 startups, 4000 investors, 300 institutions, and 127 family offices on the platform. In the last 5 years, our investor members have invested in 186 companies with a total of USD 81.5 Mn being raised. 33 of which have gone on to raise further rounds and 4 have got acquired. LetsVenture is backed by India’s most prominent investors like Accel, IDG Ventures, Nandan Nilekani, Rishad Premji, Ratan Tata, Mohandas Pai, and Karan Thakral. Over the last 4 years, LetsIgnite has been our flagship event in pursuit of achieving meaningful engagement and interactions between marquee investors, HNIs, angel investors, VCs, and early-stage startups looking to raise funds. Last year, the conference was attended by 170+ Investors and Institutions. 17 Startups from sectors like Robotics, Space Technology, Nanotech, Healthcare, Vernacular and others pitched at the event. What will happen at LetsIgnite 2019? LetsIgnite 2019 will evidence participation from Lead Investors, Angels, VCs, Family Offices and corporates from multiple countries. The selected startups from various sectors will get to pitch for 4 minutes followed by a Q&A session for another 4 minutes in front of relevant investors. Founders will also get an opportunity to be a part of sessions led by sector experts and top startup founders. Startups having at least a prototype and looking to raise $ 100k to 1.5 Mn. Last year, 90% of the LetsIgnite startup finalists successfully closed their round of fundraising. Have a startup profile on LetsVenture? Fetch your information easily! Are you Actively raising Funds? Have you raised fund before?